9:30 am Wild West Youth Day & John Erickson Concert – starts in the LMCC Theatre featuring Ranch Life book performance by John Erickson followed by class attendance to stations relating to wildlife, ranching, chuck wagon history, horse training, cavalry history, Native American activities, and more. .
9:45 am NEW Horse Training by Casey Sisk, C S Quarter Horses, LMCC Exhibit Hall. Casey Sisk is a 15 year veteran professional horse trainer. 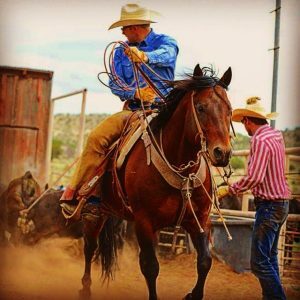 He is a six-time Turquoise Circuit Finalist Saddle Bronc Rider, a two-time Turquoise Circuit Finalist Steer Roper, a National Circuit Finals Steer Roping Qualifier and the 2013 PRCA Turquoise Circuit Finals Steer Roping Average Winner. He specializes in training roping and ranch horses, and believes in soft hands, lots of miles and wet saddle blankets. 11:30 am – 1:00 pm NEW Western Style Show & Music Luncheon – LMCC Banquet Room 2 (east). Enjoy the tunes of harmony group Prairie Moon of Wichita Falls, TX and a special tribute to the founders of the NCSC 30 years ago. Limited seating – tickets required. 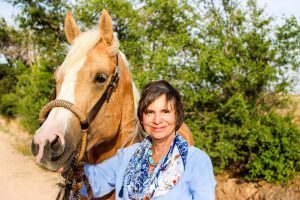 1:00pm: Dr. Heidi Brady, professor in Texas Tech Animal & Food Sciences and Dr. Scott White, Director of Collections, Exhibits, and Research at the National Ranching Heritage Center at Texas Tech University will present “Horses in the American West” at 1:00 pm Friday Sept. 7th in the LMCC Banquet Hall.. They will discuss why they wrote the book, how they selected and interviewed the artists, and how it is used in teaching college students. Images of working cowhands and their horses loom large in the mind’s eye of many who love the American West. Those same images form the heart and soul of this lavishly illustrated book, which captures the viewpoints, values, and observations of twenty-four respected contemporary artists. The artists own words illuminate the painting, sculpture, photography and drawings of these award-winning, supremely creative individuals, allowing readers a glimpse into the creative processes. The two dozen artists profiled include ranch owners, working hands, professional photographers, a saddle maker and a former predator hunter. 2:00 pm “TUB TALK” with Washtub Jerry at the LMCC Exhibit Hall Stage. Learn how the washtub bass works & see this “Western Music Assn. Instrumentalist of the Year demonstrate his unique talent for making music with a washtub. 2:00 pm “Texas Hide Hunters: Materials, Methods and Mooar” LMCC Banquet Room 2 (east). Henry B. Crawford, Retired Curator History, Museum of Texas Tech University will present an in-depth look at the technology and methodology that brought down the buffalo on the West Texas plains in the 1870s, including the varieties of guns and ammunition used as well as skinning, meat and hide preparation and transportation to markets. Mr. Crawford will show & discuss his personal original & reproduction firearms & tools during and after his presentation. 3:00 pm NEW Horse Training by Casey Sisk, C S Quarter Horses, LMCC Exhibit Hall. Casey Sisk is a professional horse trainer and has been training horses for 15 years. He specializes in training roping and ranch horses, and believes in soft hands, miles and wet saddle blankets. 3:00 pm NEW “John Chisum, Frontier Cattle King,” – LMCC Banquet Room 2 (east). Texas State Historian, Bill O’Neal will give a lively presentation based on his new book of the same title. Chisum was a legendary figure of the Old West cattle frontier. During the 1850s the young Texan recognized opportunity in the fledgling range cattle industry, and within a few years his herds numbered in the tens of thousands. Chisum soon owned more cattle than any other individual in America. 4:00 pm Western Authors Panel – LMCC Banquet Room 2 (east). Meet western authors & explore the development of characters in western factual and sometimes fictional lives. Participants include Bill O’Neal, John Erickson, Karen Fitzjerrell, Nathan Dahlstrom, Jim Jones. 6:00 pm Evening Performance featuring Mary Kaye, R.W. Hampton, Pipp Gillette, Chris Isaacs, Stan Mahler, Deanna McCall, David Hansford, Jim Jones, and Washtub Jerry in the LMCC Theatre. Please note the Day Pass includes general admission seating to the night performance. Reserved seating is also available for $20. 9:00 am – South Plains Genealogical Society Meeting – South Meeting Room 104. Join the club, find out about tracing your roots and get acquainted with this group of researchers who share a common interest. 11:00 am – 3:00 pm Youth Activities in the LMCC Pedestrian Mall. Individual youth activities including paper construction of cowboy vests & hats, paint branding, creating a personal brand, and a sheriff’s badge for completing the activities. Come & go as you please and create these fun items to take home with you! 11:00 am NEW Hank the Cowdog Performance by Author John Erickson – LMCC Banquet Room 1 (west). 11:00 am NEW Horse Training by Casey Sisk, C S Quarter Horses, LMCC Exhibit Hall. Casey Sisk is a 15 year veteran professional horse trainer. He is a six-time Turquoise Circuit Finalist Saddle Bronc Rider, a two-time Turquoise Circuit Finalist Steer Roper, a National Circuit Finals Steer Roping Qualifier and the 2013 PRCA Turquoise Circuit Finals Steer Roping Average Winner. He specializes in training roping and ranch horses, and believes in soft hands, lots of miles and wet saddle blankets. 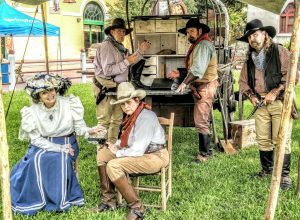 CHUCK WAGON LUNCH – wagon prepared meals are available to the public. Meal & musical entertainment in the park EAST of the LMCC. 1:00 pm NEW SURE ‘NUF COWBOY – LMCC Banquet Room 2 (east). Real-life cowboys tell stories of their true experiences and lifestyle. 2:00 pm NEW “John Chisum, Frontier Cattle King,” – LMCC Banquet Room 2 (east). 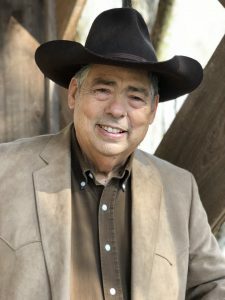 Texas State Historian, Bill O’Neal will give a lively presentation based on his new book of the same title. Chisum was a legendary figure of the Old West cattle frontier. During the 1850s the young Texan recognized opportunity in the fledgling range cattle industry, and within a few years his herds numbered in the tens of thousands. Chisum soon owned more cattle than any other individual in America. 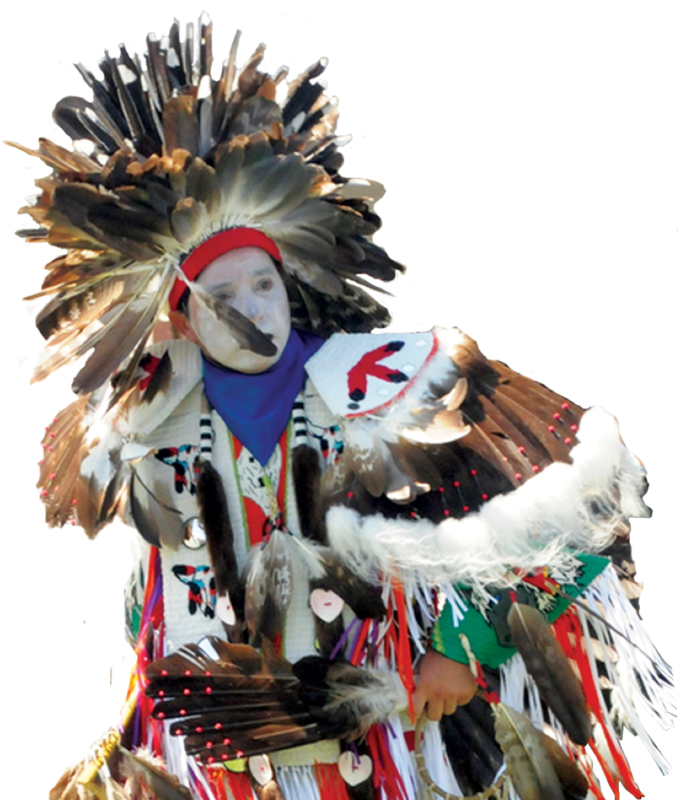 2:00 pm Dance – Ballet Folklorico Nuestra Henericia in the park EAST of LMCC. Literally “folkloric dance” in Spanish, also known as ballet folklórico, is a collective term for traditional Mexican dances that emphasize local folk culture with ballet characteristics – pointed toes, exaggerated movements, highly choreographed. 3:00 pm NEW Chuck Wagon Cook Stories – LMCC Banquet Room 2 (east). 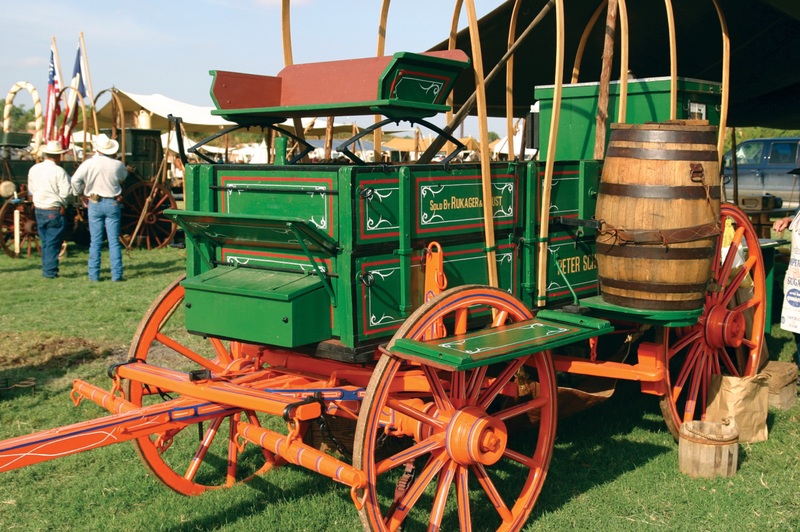 Hosted by Monica Hightower, NCSC Executive Director, and including other chuck wagon cooks with real-life stories about cooking on an authentic chuck wagon. Learn more from their experiences and humorous escapades. 4:00 pm NEW “Western Fiction Writing-The Myths, Facts, Rewards” by award winning author Karen Fitzjerrell. 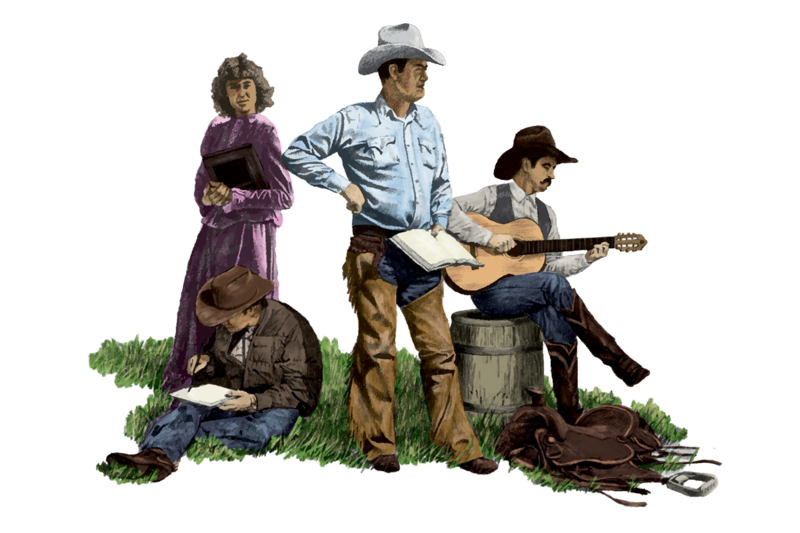 This presentation will cover the most common misconceptions about Western Fiction Writing. Are Westerns dead? Where are new stories and new plot ideas found? Bring questions you’ve always wanted to ask. Anything from the first glint of an idea to published book. 6:30 pm Evening Performance featuring R.W. Hampton, Pipp Gillette, Mary Kaye, Chris Isaacs, Jim Jones, Prairie Moon, Joel Nelson, Mike Querner and Washtub Jerry in the LMCC Theatre. Please note the Day Pass includes General admission seating to the night performance. Reserved seating is available for $20. The noontime chuck wagon meal includes chicken-fried steak, potatoes, gravy, bread, beans, and dessert, and is served with water or tea. Served with the ambiance of the Old West, we guarantee it’ll be one of the most remarkable meals you’ve ever eaten. Enjoy! We highly recommend that you purchase Chuck Wagon meal tickets in advance. Click our “Store” link (above) or download the PDF and mail it in before September 1st. Chuck Wagon Lunch - Saturday, September 8th, 2018 | Be sure to order tickets early - meal numbers are limited! Join us for Youth Wild West Day (more information can be found under the Special Presentations tab). Instructors and teachers are encouraged to bring their classes to the Lubbock Memorial Civic Center to learn more about the American West. Individual youth activities including paper construction of cowboy vests and hats, paint branding, creating a personal brand, and a sheriff’s badge for completing the activities. Come and go as you please in the East Pedestrian Mall – and create these fun items to take home! In addition to Youth Wild West Day, youth are encouraged to participate in one or more of the National Cowboy Symposium & Celebration’s youth contests. Information about the 2018 contests can be found by clicking on the Youth Contests Rules & Regulations below. Our most popular contests include poetry, stories, and photography. Host Hotel: MCM Elegante, 801 Avenue Q, (806) 763-1200. Ask for the National Cowboy Symposium & Celebration room block when making a reservation. The deadline for reservations is August 31st, 2018. If you have any questions about whether or not you qualify for special rates, please contact the NCSC office at ncowboysymposium@gmail.com. Please see concurrent sessions schedules for exact date and time of appearances. The LMCC Theatre. Please note the Day Pass includes general admission seating to the night performance. Reserved seating is also available for $20. The LMCC Theatre. Please note the Day Pass includes General admission seating to the night performance. Reserved seating is available for $20. The entertainment for the 2017 National Cowboy Symposium & Celebration may be downloaded by clicking on the link below. John Erickson performance of Hank the Cowdog – book signings as well. 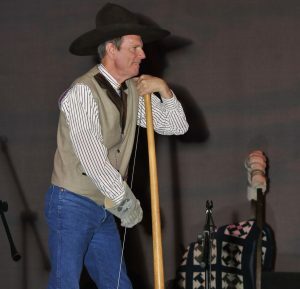 Sure ‘Nuf Cowboy is a special session of past and present cowboys telling stories about their real-life experiences. Chuck Wagon Cook Stories – Monica Hightower-Emcee – a session of real-life chuck wagon cooks and stories from their actual experiences – hold onto your hat for this one! 2018 new Chuck Wagon Food Category – a special undisclosed category for the chuck wagon cooks to submit for judging. The cooks will be given the ingredients and instructions during the Cooks meeting on Friday, September 7th. 2018 Spur Raffle – Spurs made by Gary Williamson Spurs are all 4130 steel construction with 1” band, rounded and tapered with 3-1/4” heelband opening. Shank is about 1-3/4”, with 1-1/2” hardened rowel on a stainless steel pin. Spurs are double-mounted with nickel, copper and brass. 30th Anniversary Celebration Quilt Raffle – quilt made by Monica Hightower in honor of the 30th anniversary event. The center block is an embroidery version of the NCSC color logo, surrounded with western themed cotton prints. The quilt has a hanging pocket on the back and will be on display during the NCSC for viewing. 30th Anniversary Belt Buckle & Belt Concho Pins – made by A Cut Above Buckle and both commemorate the 30th event. On sale to the public. 30th Anniversary Aprons – on sale to the public and given to chuck wagon teams. Commemorative Video Features to show before the evening performances – will be a sampling of the contents of a commemorative video on sale after the event. The video will represent all 30 years of the NCSC. The National Ranching Heritage Center’s Ranch Hosts will present a brief history of period clothing encompassing 71 years from 1838 to 1909. The luncheon will also include a special tribute to Alvin and Barbara Davis and the others who were instrumental in founding the NCSC event 30 years ago. Horse Training sessions by Casey Sisk. Casey is a professional horse trainer and has been training horses for 15 years. He is a six-time Turquoise Circuit Finalist Saddle Bronc Rider, a two-time Turquoise Circuit Finalist Steer Roper, a National Circuit Finals Steer Roping Qualifier and the 2013 PRCA Turquoise Circuit Finals Steer Roping Average Winner. He specializes in training roping and ranch horses. He believes in soft hands, miles and wet saddle blankets. Sisk was raised on a ranch in central New Mexico and now lives in Sudan, Texas with his wife Jill and their two children Gentry and Liddy. hunters. This heavily-used firearm is thoroughly documented with Mooar family correspondence and Sharps company records. Mr. Crawford will have his personal original and reproduction firearms and tools on hand to show and discuss during and after his presentation. You can catch the “Legends” gun fights during the National Cowboy Symposium & Celebration, on Friday and Saturday of the event. This presentation will cover the most common misconceptions about Western Fiction Writing. Are Westerns dead? Where are new stories and new plot ideas found? Bring questions you’ve always wanted to ask. Anything from the first glint of an idea to published book. Karen Casey Fitzjerrell’s latest novel, Forgiving Effie Beck, was named to Kirkus Reviews’ Best Books of 2015 and received the Will Rogers Gold Medallion Award. Her writing history goes back to the mid 1990s when her personal narratives appeared in regional magazines and newspapers. After growing bored with writing only her perspective, she traveled Texas backroads in search of people and places that intrigued her enough to write about them. Each poem can be no longer than 36 lines. Judging will be based on interest, rhyme, and meter. Complete details are available in the Rules and Entry Form PDF below (just click the link). Each story should be no longer than two pages. Judging will be based on interest and structure. Complete details are available in the Rules and Entry Form PDF below (just click the link). Each photo must be representative of western heritage and/or ranching. Each photo must be a 5" x 7" shot mounted on an 8" x 10" mat with appropriate identification information on the back of the mat. Photos will be judged on representation of the subject and/or theme, clarity, focus, and lighting. Complete details are available in the Rules and Entry Form PDF below (just click the link). Each entry must be colored by the contestant without assistance. Age divisions are 3-5 years old and 6-8 years old. Complete details are available in the Rules and Entry Form PDF below (just click the link). Intent to enter should be given to the NCSC office by 5pm, Wednesday, September 6, 2017. Entrants must be 12 to 18 years of age by the date of competition. The number of entrants may be limited to the number of chuck wagons prepared or willing to participate and therefore entrants will be considered on a first come, first served basis. No entrant may cook with the wagon to which they have ties. Entry forms may be turned in immediately prior to the competition. Prizes will be provided by the NCSC. Complete details are available in the Rules and Entry Form PDF below (just click the link). After signing up, the NCSC will cal to give the confirmation and an exact time for the contest to start (usually Friday between 4-4:30pm). If you have specific questions about educational opportunities for youth at this year's National Cowboy Symposium & Celebration, just send an e-mail to ncowboysymposium@gmail.com.